Nazia Kazi - "Islamophobia, Race, and Global Politics"
Nazia Kazi discusses Islamophobia, Race, and Global Politics. A Q&A and signing will follow the discussion. About the book: Islamophobia, Race, and Global Politics is a powerful introduction to the scope of Islamophobia in the U.S. 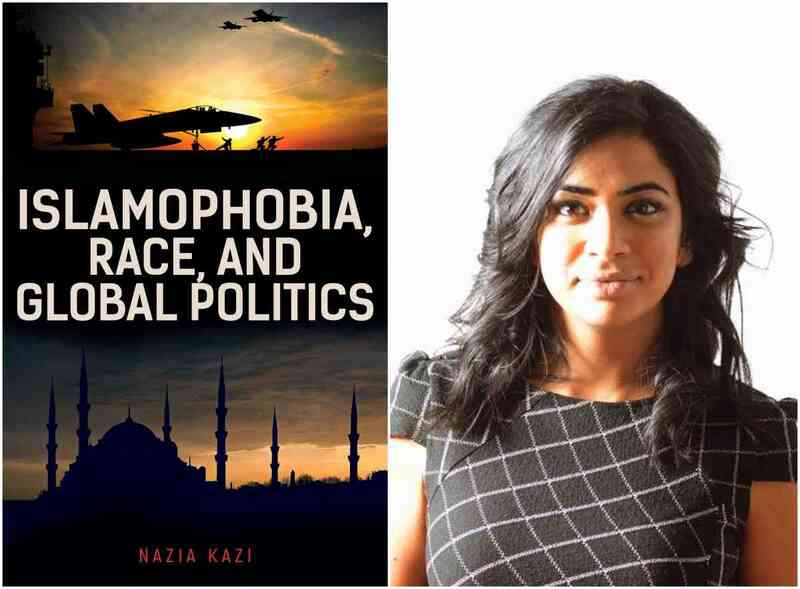 Drawing on examples such as the legacy of Barack Obama, the mainstream media’s portrayal of Muslims, and the justifications given for some of America’s most recent military endeavors, author Nazia Kazi highlights the vast impact of Islamophobia, connecting this to a long history of US racism. Kazi shows how American Islamophobia and racism are at once domestic—occurring within the borders of the United States—and global—a matter of foreign policy and global politics. About the author: Nazia Kazi is assistant professor of anthropology at Stockton University, where she teaches on race, empire,and Islamophobia. She has lectured widely on Islamophobia, including her TEDx talk “Islamophobia and Islamophilia," and has published articles such as “Teaching Against Islamophobia in the Age of Terror” in the Chronicle of Higher Education.